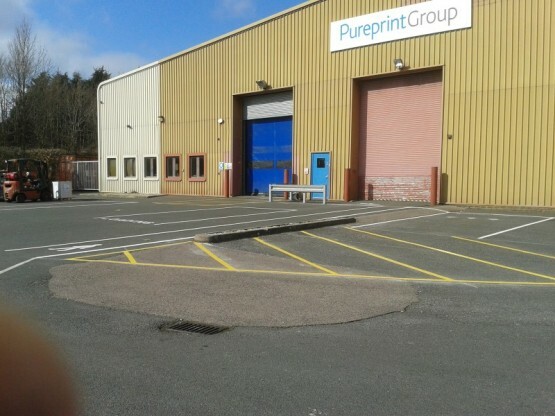 Car Park Markings – Warehouse Company in Uckfield, East Sussex. 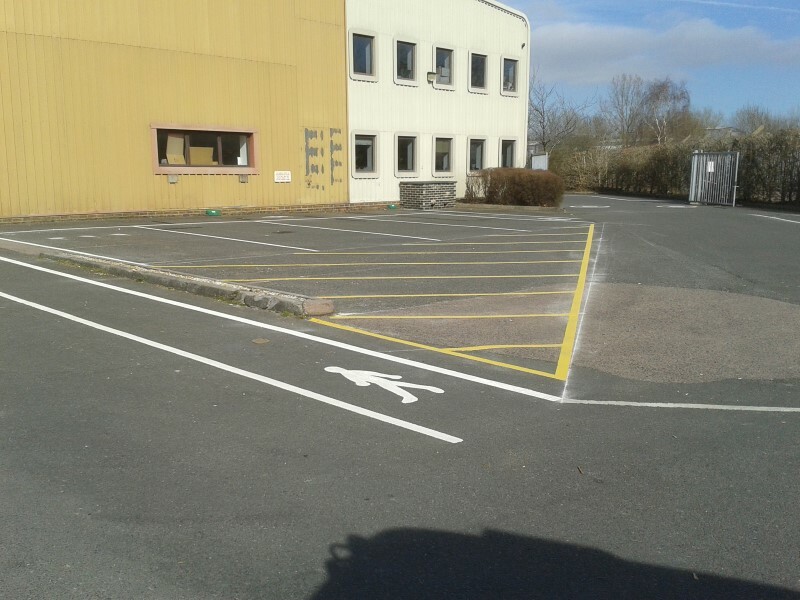 White and Yellow Thermoplastic Material applied to a tarmac surface. Standard Parking Bays, Lorry and Van Bays were marked using White Thermoplastic material making them highly visible on the tarmac surface. Keep Clear areas marked in front of Warehouse doors and bays by using yellow hatching. White Thermoplastic material was applied to Pedestrian Walkway markings to ensure the walkways are clear and visible to pedestrians to create a safe route. Speed Roundels were marked around the site to remind drivers of the speed limit required for this location.